Members of Parliament belonging to the liberal Free Democratic Party (FDP) at the German Bundestag want to make Chancellor Angela Merkel’s government stop betraying Israel at the United Nations. Last week, the FDP parliamentary group adopted a petition in which it demands a change in Germany’s voting behavior at the U.N., related to Israel. The petition was authored by the MPs Frank Müller-Rosentritt (see photo at top of page) and Bijan Djir-Sarai. ‘Bild’, a large German-language daily, reported about it first. The problem the initiators are referring to is serious. With its U.N. votes, Germany supports resolutions against Israel brought in by Arab states on a regular basis, while stressing supporting Israel was raison d’état. Müller-Rosentritt and his colleague want to raise awareness. They can not accept this obvious contradiction anymore. The problem they are dealing with starts at the United Nations in New York, where the world organization’s General Assembly (UNGA) often adopts resolutions critical of Israel instead of pointing the finger at terrorist organizations like Hamas or the Palestinian Authority. The latter supports terrorism, e.g. by paying the families of so-called “martyrs”, the Palestinian leadership’s word for murderers of Israeli Jews. In the U.N.’s Human Rights Council (UNHRC), things are even worse. This U.N. body has member states which are known for terrible Human Rights abuses, including Saudi Arabia, Congo and Angola. Instead of actually going after Human Rights abusers, the Council has adopted far more resolutions against Israel, the only Jewish state in the world, with 8 million inhabitants, than against all other countries combined. The Geneva-based watchdog group UN Watch keeps on demanding an end to this antisemitic approach. What Germany is concerned, the MPs Müller-Rosentritt and Djir-Sarai criticize the fact that the country mostly votes with Arab countries, against the state of Israel, which Merkel’s government says it supports. In November of last year alone, Germany voted for 16 out of 21 U.N. resolutions of this kind. The Foreign Ministry in Berlin says it had voted for those anti-Israeli resolutions in order to avoid resolutions with an even harder wording. To the FDP MPs who brought in the petition, this does not make too much sense. Berlin should “distance itself from one-sided, politically motivated initiatives and alliances” and actually counter political powers in the Middle East which “openly threaten the security of Israel”, the petition says. “In order to represent a credible foreign policy”, Germany’s voting behavior “at international organizations” needed to be changed, the document reads according to ‘Bild’. The Liberal party also wants Germany to use its influence in other European capitals in order to change their Israel approach at the U.N. as well. 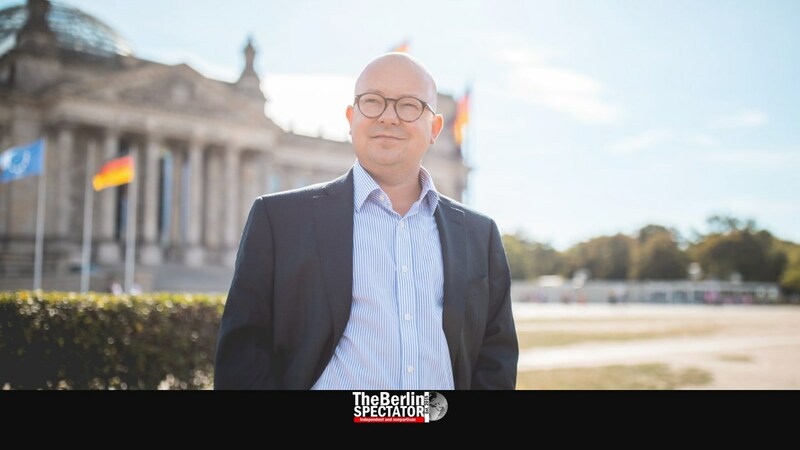 Frank Müller-Rosentritt told ‘Bild’ this was not about trying to forbid criticism of Israel, but the same standards needed to apply to all countries. “Taking a stand against Israel with countries like Saudi Arabia, Iran and Yemen on a regular basis is insane”, Müller-Rosentritt said. The initiative was about proportionality. Apart from the obvious bias at the United Nations, Israel is facing constant terror from Arab terror organizations, threats from the Tehran regime which openly says it wanted to “annihilate” the Jewish state, and a delegitimization campaign by the so-called BDS movement. In spite of being labelled antisemitic by many, BDS has many supporters, including famous musicians. They keep on bullying artists who announce concerts in Israel. The bigger part of the comparatively small Jewish community in Germany has been angered by Germany’s U.N. voting behavior for a long time now, including the period when today’s President Frank-Walter Steinmeier was Foreign Minister.